Students, faculty members, management staff of KIU DIAMER CAMPUS, Spokesperson to GB Government, District Diamer Government, Diamer Youth Movement and Civil Society participated and celebrated the 71st Independence Day of Gilgit Baltistan with a ceremony marked to acknowledge the efforts of the Gilgit Baltistan’s founders and a pledge to help Gilgit Baltistan and Pakistan out of its present crises. 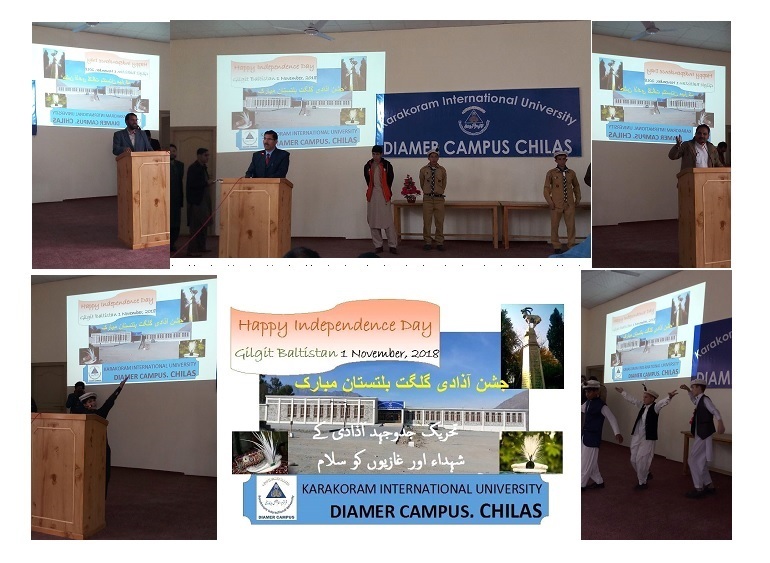 The 71st Independence Day of Gilgit-Baltistan celebrated with traditional zeal and passion on 1st November at Karakoram International University Diamer Campus, Chilas – Pakistan. 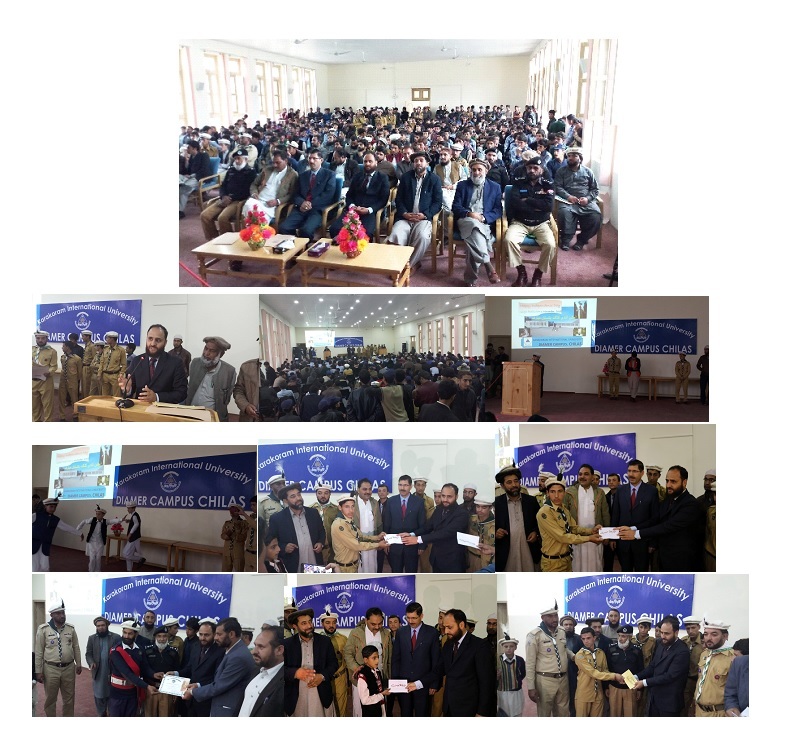 Syed Abdul Waheed Shah, Commissioner Diamer-Astore Division was the Chief Guest. The program dawned with recitation from the Holy Quran, special prayers for solidarity, prosperity and integrity of Gilgit-Baltistan and Pakistan at KIU Diamer Campus, Chilas Auditorium. In a message, Commissioner Diamer-Astore Division, Syed Abdul Waheed Shah and KIU Diamer Campus Director, Dr. Muhammad Shahnawaz, Spokesperson to GB Government, Deputy Director Education and President Diamer Youth Movement said the valiant people had struggled against Dogra rule and liberated the region in 1947. 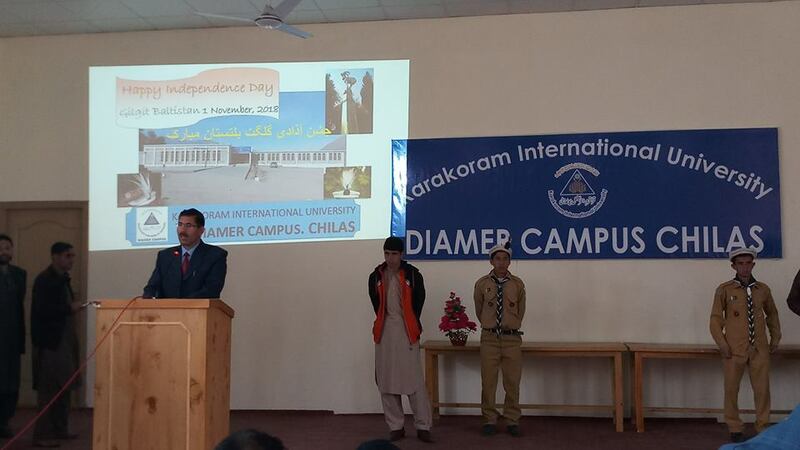 Students from the Campus and different Schools of District Diamer, presented an impressive display of Naat, local/national poems and shared their views on the value and importance of gaining independence. Students who took part in Naat, local/national poems were awarded prizes and certificates.